Sea Scouts Interested in Cruising on Board the USCG Barque Eagle | Signs Up! Do you want the adventure of a lifetime? Apply by March 31st each year to sail aboard the tall ship Coast Guard Barque Eagle! 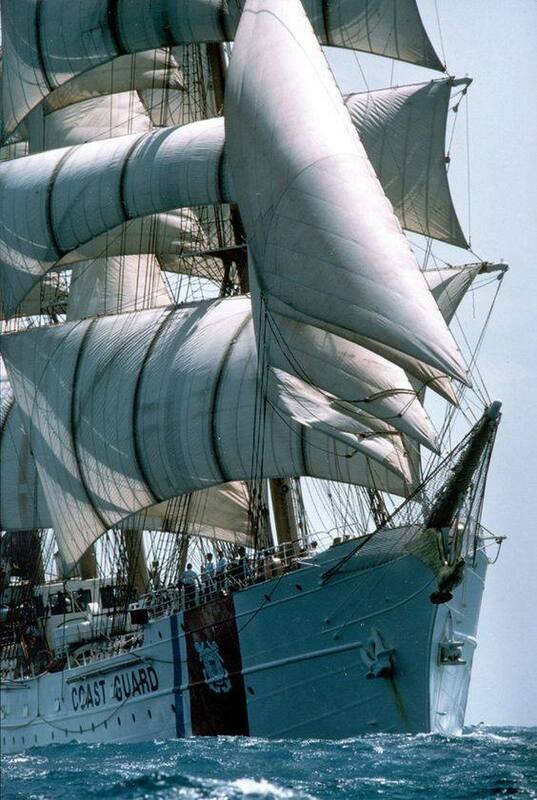 The Eagle is a three-masted barque-rigged ship used to train cadets and officer candidates in the U.S. Coast Guard. The Eagle was built in Germany in 1936 and was taken as a war reparation by the U.S. after World War II. Since then the Eagle has been homeported in New London, Connecticut, the location of the U.S. Coast Guard Academy. The National Sea Scout Support Committee makes special arrangements with the U.S. Coast Guard Academy for select Sea Scouts to join as crew aboard the Eagle during its summer cadet cruises. This opportunity is available to all Sea Scouts who desire fun, adventure, and a summer cruise to remember – you don’t want to miss this chance. To download application, click here.